Directions: In a sturdy glass, twist the mint leaves, strawberries, and lime slices by gently pressing them. Add 1 cup of crushed ice, club soda, and rum. Stir gently and garnish with a mint sprig and a lime wedge before serving. Directions: In a saucepan, heat cider to desired temperature, then pour into your favorite mug. Stir in spiced rum and coconut milk. Relax and enjoy! Directions: Fill a glass with ice. Add vodka, vegetable juice and lemon juice in order. Sprinkle in a dash of salt and pepper. Use celery stalk to stir and then leave it in the glass for garnish. Directions: Muddle orange slices in a sturdy glass. Add ice, gin, and club soda. Stir gently and serve. Enjoy these wonderful cocktails and share your cocktail recipes with us. 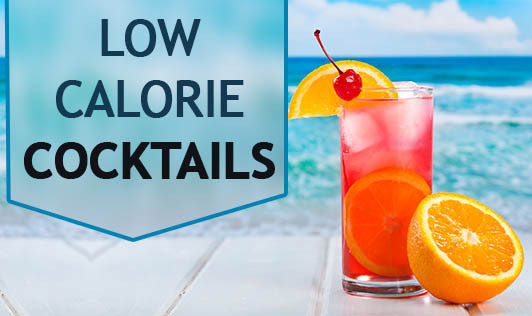 If you have a cocktail that you love, but know its not good for your weight, we will re-make it to a low calorie one for you. Go to "tools-recipe makeover".